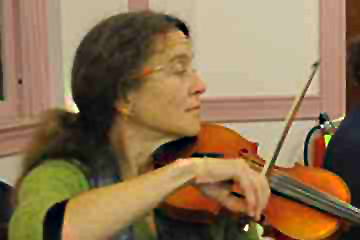 Calliope's fiddler and prime mover, Amy Cann, reports she spent the first twenty years of her life becoming a violinist and the next ten becoming a fiddler. That included an apprenticeship at the elbow of Jay Ungar then a journeyman stint through hundreds of contradances, kitchen junkets, and pub sessions throughout the northeast. These days what she loves best is to sit squarely on the fence between the classical and trad world and help folks climb over from either side. 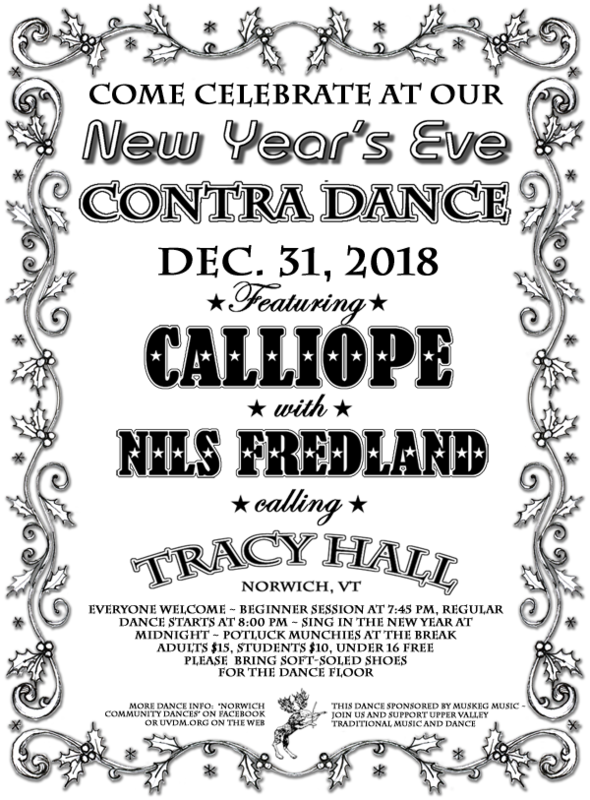 Caller Nils Fredland is sought after as a prime mover for contra dances all over New England and internationally. If that's not enough, he's a classically trained trombonist who plays fiddle tunes and the Associate Artistic Director for Revels North.